The garage was on the Northwest EcoBuilding Guild’s 2004 Green Roof Tour, and since its completion has been visited by numerous curious lay people as well as architects and builders. We look out on the roof from our kitchen window every day. In every season it’s a joy to behold. Not completely a good thing, but I noticed this spring that the air gap at the bottom of the rain screen wall is just the right size for mason bees. We have a healthy colony on the west side. At some point there may be an overhead infrared heater for working in the winter, which will heat objects rather than the air. A translucent garage door and generous windows on the north side provide ample natural light. 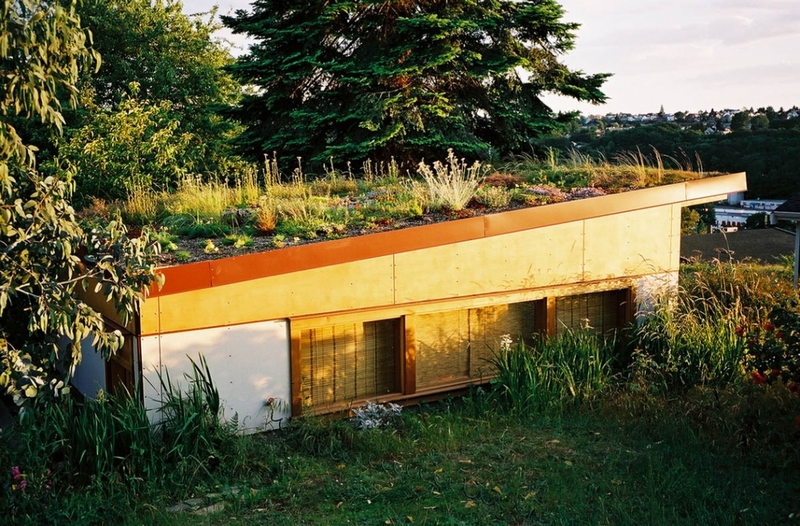 To some degree, the green roof provides thermal mass and so tempers swings in temperature, keeping the garage warmer in winter and cooler in summer. Full line job site recycling was implemented. 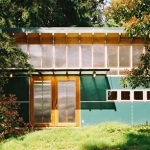 The structure was stack framed, and so used about 25% less wood than a conventionally framed structure. The planted roof protects the actual roof membrane from degradation caused by the sun, and thus increases the life of the roof. 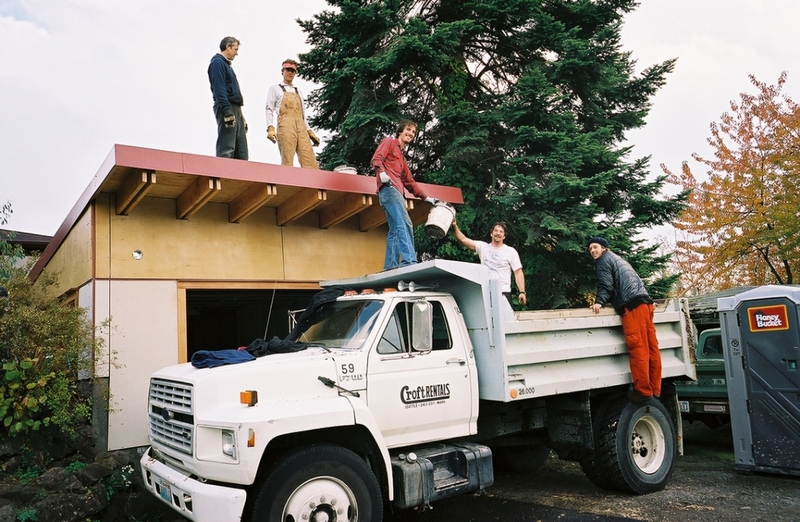 Except for the roof framing (PSLs and 2x10’s) and roof sheathing, the basic structure was built entirely of wood salvaged from the existing carport. Salvaged treated 2x6 decking was used as framing, plates and blocking, and OSB sheathing salvaged from under the existing deck (and two sheets salvaged from other CJR jobs) was reused as wall sheathing. The rest of the deck was saved for reuse elsewhere by CJR. The salvaged person door came from Earthwise. Shelving, shelving standards and window shades were salvaged. Main shelf above work bench was suspended from salvaged wire rope (boat halyard)-—both resource efficient and elegant. 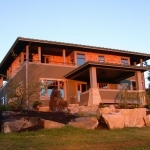 Siding is a combination of clear finish SuperPly (see lessons learned below…) and unfinished HardiPanel over a rain screen wall. Anything remotely toxic or flammable is stored in the separate garage rather than in the house, which improves safety and IAQ in the house, but doesn’t do much for the air in the garage. I plan to install a timed exhaust fan. Formaldehyde-free insulation was used in the one fire-rated wall. Something about being a sleep-deprived new father packing to move while designing and drafting up the whole thing in less than a month in order to get a permit and get started building and (ideally) get the garage finished before we moved in...and so not supplying adequate details to the contractor...combined with the framer not having done stack framing before and one “creative” idea he had for framing the roof, meant that half the framing ended up having to be rebuilt. On our next stack framed project, we supplied a sheet full of standard details, and put on a two-afternoon workshop (one “classroom” session in my office, one “field” session on the job site) with all of the framers, and achieved the best implementation of this wood-saving system yet. 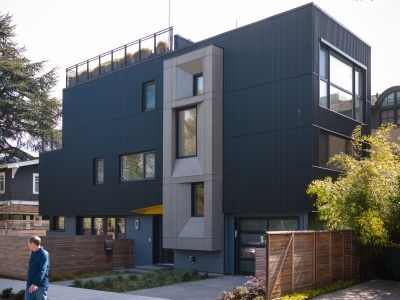 The panelized siding system with exposed fasteners required unexpected precision from the installers. Lap siding would have been faster and possibly more durable, but wouldn’t have met my aesthetic goals. The clear-finished SuperPly was pre-finished with an oil finish on all sides but the finish did not hold up at all well. Within months the plywood got wet and molded. The mold spotting comes back every year in the wet season. Unless there can be overhangs, I will not be using clear finished plywood as exterior siding again. The unfinished HardiPanel, on the other hand, has been a real success. The rain screen allows it to dry to both inside and out. Headroom requirements for access down the stairs dictated no overhang on the east, and lot line setback dictated no overhang on the south, and I left off the overhang on the north for symmetry. The lack of overhangs on three sides exacerbated the problems with the plywood. 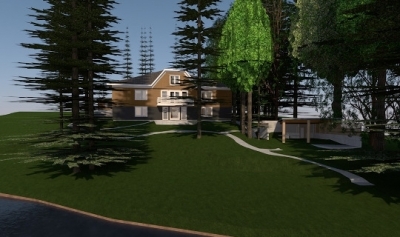 I won’t be doing any more buildings in the Northwest without overhangs. I’m considering retrofitting a small sheet-metal overhang where I can. The rain screen wall is open at the bottom of the HardiPanel. The gap was filled with air-permeable (and we thought) insect-impermeable rock wool. Mason bees, at least, seem to have no trouble finding their way through. We will use actual insect screening next time. 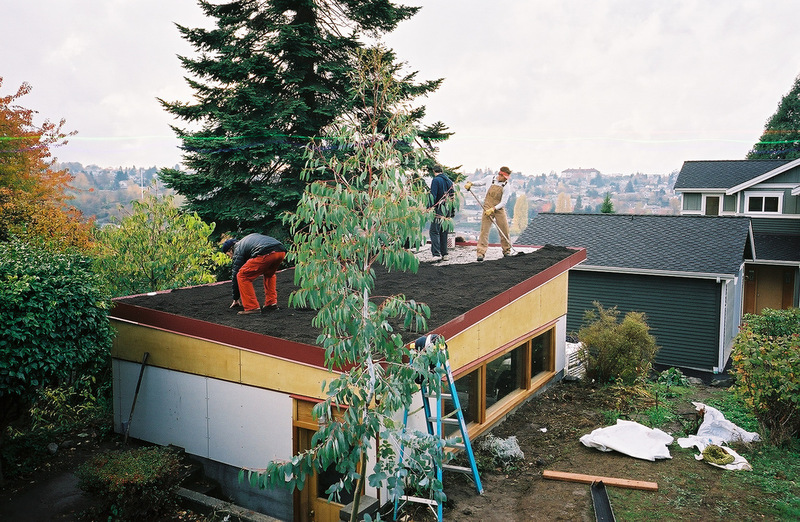 Both the experimental nature of the green roof system and the volunteer aspects of its installation (while enthusiastic and much appreciated) added significantly to construction time and call-backs. I believe the same (now perfected) system installed by professionals will be very quick and reliable, and cost about the same as a slate or terra cotta tile roof, that is about $7/SF. 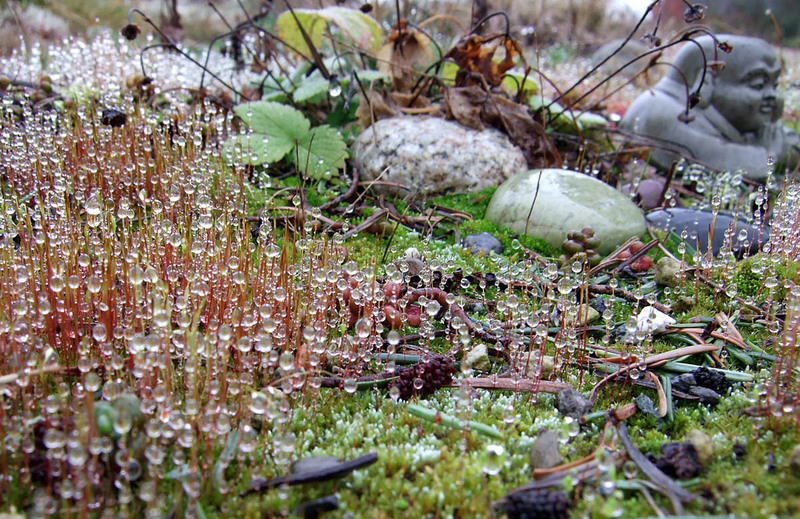 We will be sure to provide permanent easy access to any future green roofs. Not necessary from a maintenance standpoint, but we love getting up there to see what is growing and it would be nice not to have to get the ladder out every time. 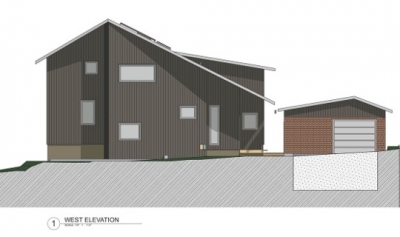 The monitoring of run-off and water quality that was planned as part of the Guild’s Green Roof Project has yet to be implemented on any of the Project’s roofs, therefore objective data on the roofs’ benefits is not available. Writing now in 2010, the roof is seven years old, and continues to be a pleasure to behold. In retrospect though, I would not have planted any grasses on the roof at all, as the third of the roof we planted in Eco-Turf has now spread over the entire roof and overtaken the sedums. The sedums are still there, but can't be easily seen. The wavy grass does have its own attractions, especially in the dry summer here, where it reminds me of the Palouse in eastern Washington. In conversations with Patrick Carey, we surmised extra organics in the original soil mixture may have contributed to the spread of grass. 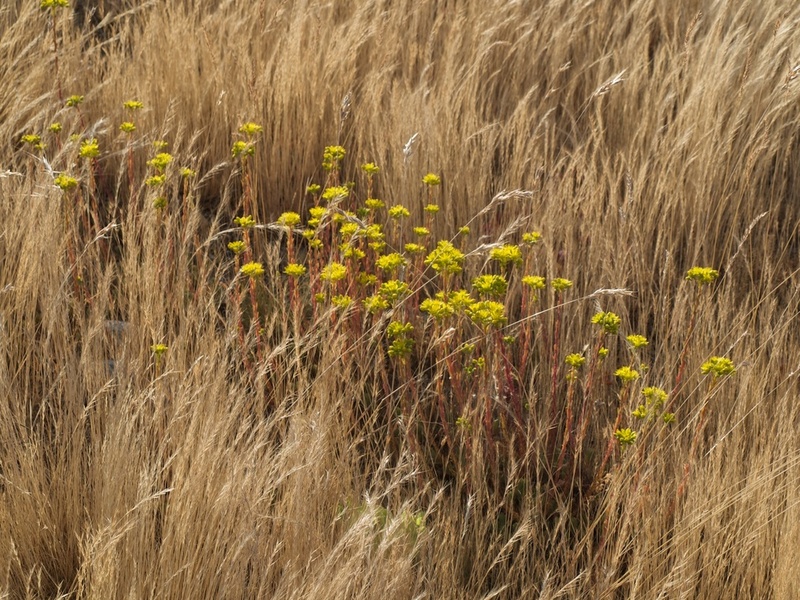 Other mixtures used on other green roofs were less hospitable to grasses, and supported only the sedums. 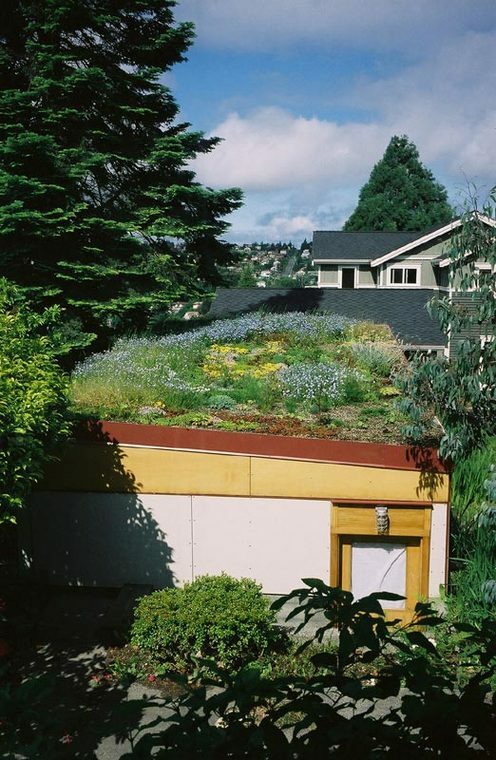 Planted roofs, also known as green roofs or eco-roofs, are enjoying a surge of interest in the Northwest, brought on in part by the Northwest EcoBuilding Guild’s Eco-Roof Project. They have many advantages. They’re beautiful. They reduce the intensity and duration of rainwater run-off. They filter water in much the same way as a wetland does. They reduce the build-up of heat in urban areas. They absorb sound. 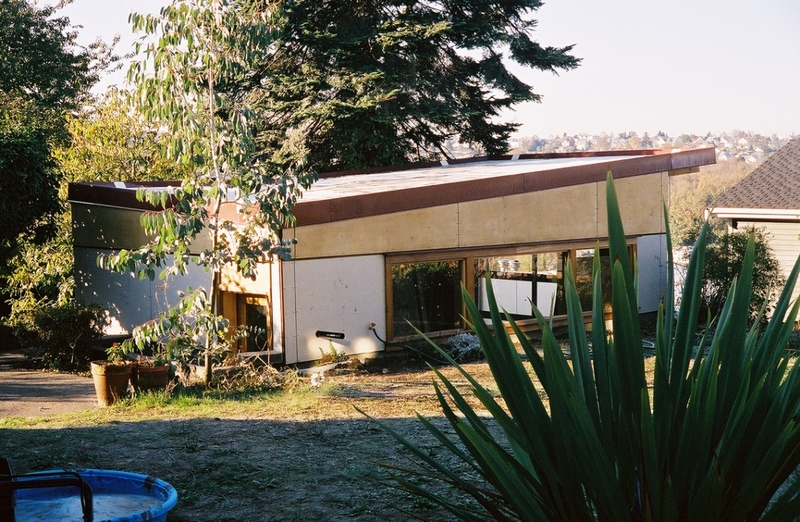 To some degree, they provide insulation and thermal mass. They protect the roof membrane below from degradation caused by the sun, and so (detailed correctly) increase the longevity of the roof. They provide habitat. 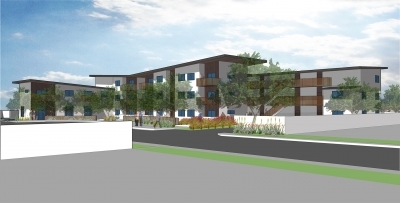 They add garden space, and can even produce some edibles. 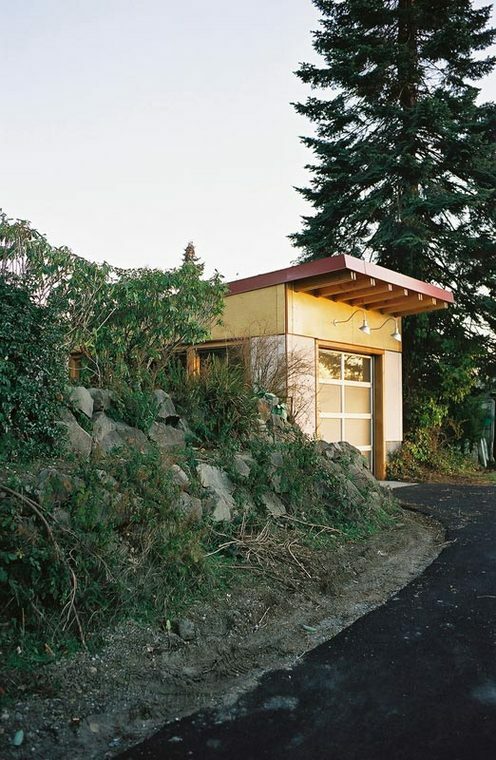 The garage was built to accompany the 1950 rambler in the close-in Mt. Baker neighborhood of Seattle my wife and I purchased in June of 2003, the week before our son was born. 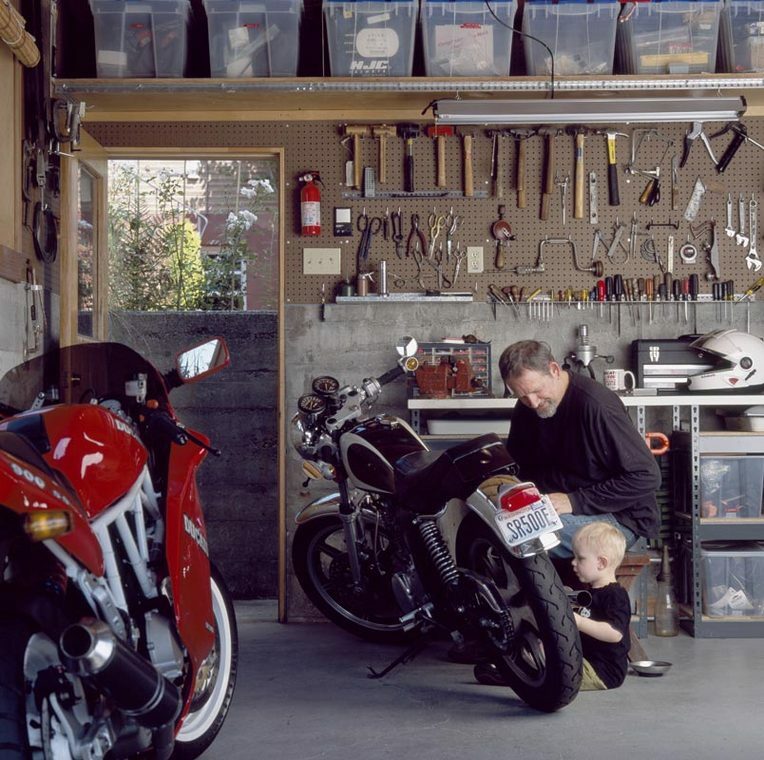 In 280 square feet (a one car sized garage) when built it housed and protected one bicycle, three motorcycles and our Mini Cooper, as well as providing space for a small workshop and every man’s dream, lots of pegboard. (We sold the Mini in 2009 and my last motorcycle in 2010. Just bicycles now!) On the pegboard, my father’s and grandfather’s hand tools. Planted on the east side next to the stairs down into the garage, the rose bush my grandfather brought with him from Scotland when he emigrated in 1907, transplanted from outside my parents’ house in Ohio after they passed away. The previous owner of the house built an illegal deck atop the foundation of the original off-the-alley terraced carport just prior to putting house up for sale, clearly without the benefit of a structural engineer! The flimsy deck was deconstructed, and the new structure built on the existing foundation and stem walls—almost entirely from wood salvaged from the existing deck. Since it was our own house (rather than a client’s! ), we thought it would be a great opportunity to experiment with a less expensive residential alternative to $15/SF proprietary (and warranted) green roof systems used on commercial projects, and so promote the use of green roofs in residential applications.With the help of everyone involved (see long list of credits below) I believe we succeeded admirably. 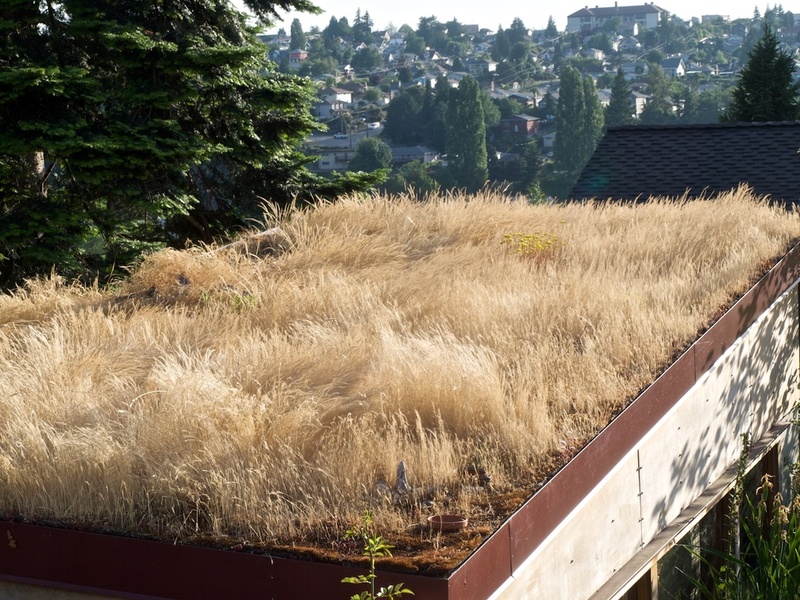 About a third of the roof is planted with Eco-Turf—a mixture of baby blue eyes, red clover, yarrow and fescues. The other two-thirds is planted with various drought-tolerant sedums. We’ve also added strawberries, nasturtiums and poppies. Other than irrigating the roof through the first summer to establish the plants, we’ve spent about an hour doing “maintenance” on the roof in its first three and a half years. Less, in other words, than would have been required by a low-slope roof of any other kind. 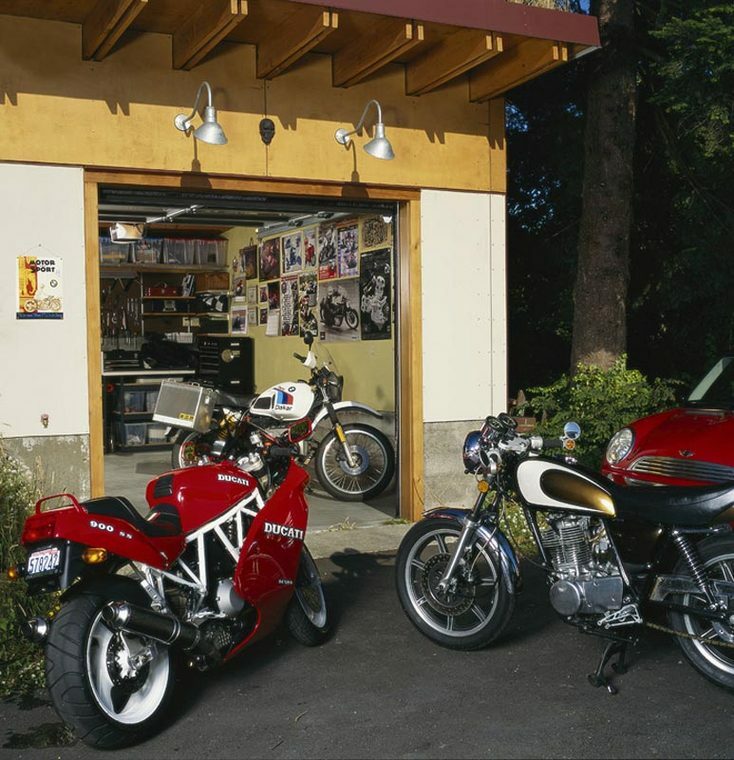 Our garage was published in the March/April 2006 issue of Northwest Home & Garden, the March 2006 issue of Dimensions, the newsletter of the Washington State chapter of American Society of Interior Designers, and the Fall 2006 issue of West Sound Home & Garden. It was on a tour organized by AIA Seattle’s Committee on the Environment in June 2006. 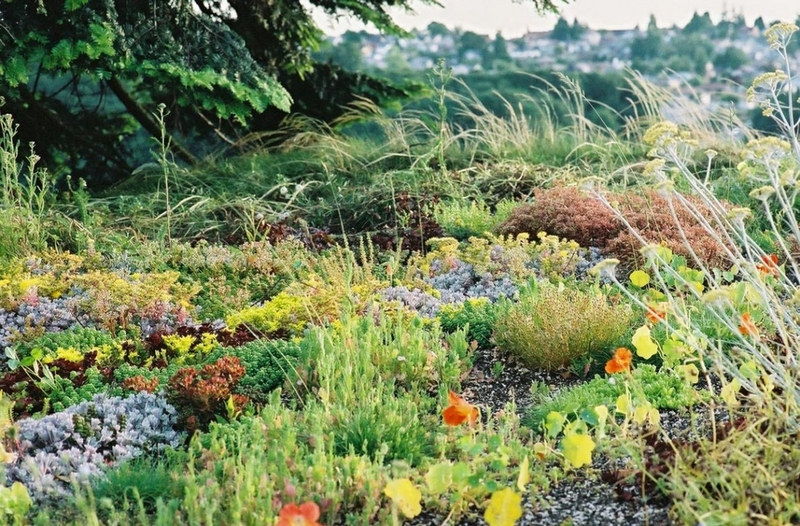 It was the Project of the Week on Greenroofs.com in July 2006 and again in April 2010. It is featured in the book Manspace: A Primal Guide to Marking Your Territory by Sam Martin, and in Terence Conran’s Eco House Book. In 2010, a snippet of video of the project appeared in advertisements for the Pepsi Refresh Project, and it was blogged about on Worldchanging.com.